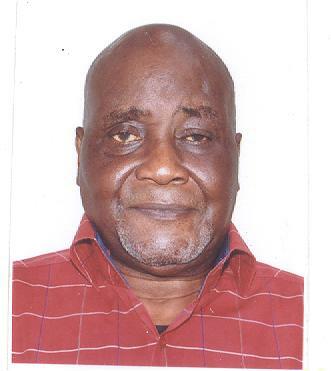 Charles Quaker Dokubo, was born in Abonnema, Akuku Toru Local government of Rivers state on the 23rd of March 1952. His primary and Secondary School education were all in Abonnema. He proceeded to the United Kingdom on the 13th of September, where he didhis ‘A’ levels at Huddersfield Technical College in West Yorkshire. From 1978-1980 Dokubo was admitted to the University of Teesside at Middlesbrough, where he undertook a course in modern History and politics and was awarded a BA[Hons.]. At the University of Bradford. He completed his MastersDegree in Peace Studies, before continuing his doctoral degree in Nuclear Weapon Proliferation and its control. In 1985, he was awarded his doctoral degree in the same University of Bradford. He was later appointed a temporary lecturer in the department before proceeding to Nigeria in 1993. Professor Charles Quaker Dokubo is currently a Research Professor at the Nigerian Institute of International Affairs in Lagos.He has published extensively in his area of interest, and has authored and edited various scholarly books and journal articles amongst which are: Nigeria’s Security Interest in Africa, Nuclear Proliferation and the Probability of Nuclear War: the effectiveness of the Nuclear Non- Proliferation Regime. His latest publication is the Defence Policy of Nigeria: Capability and Contest by Authorhouse Publishers. He is also currently the Ag. Director of Research and Studies at the Nigerian Institute of International Affairs, Lagos.